In this post you will learn how to setup Software Updates which is a necessary step in preparing your environment for Windows 10 servicing. 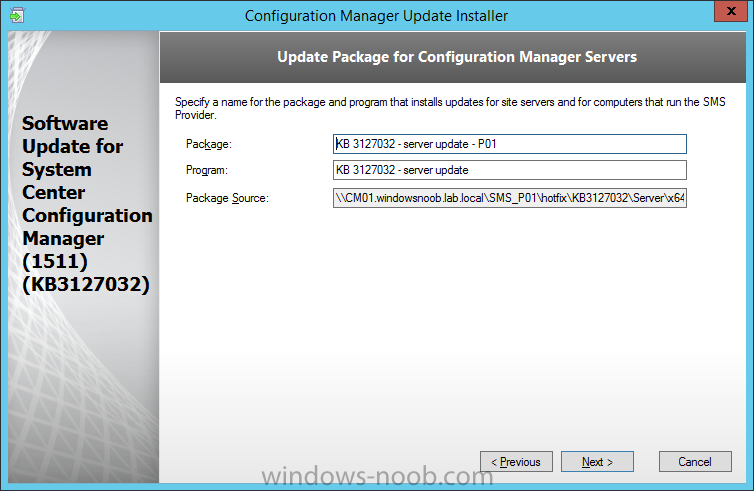 You can setup the Software Update Point manually using the ConfigMgr console or fully automated using the supplied PowerShell script in the Downloads section of this guide. What's new in Software Updates ? 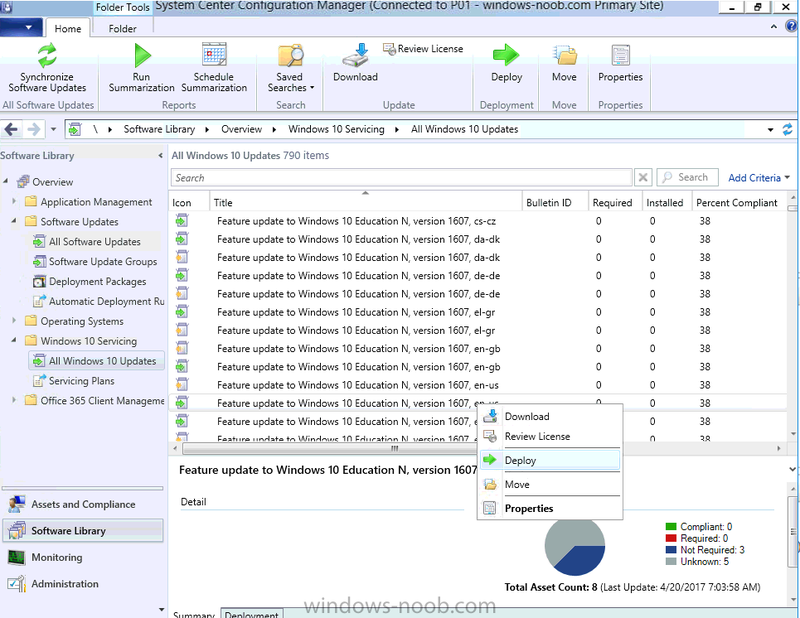 System Center Configuration Manager now has the ability to differentiate a Windows 10 computer that connects to Windows Update for Business (WUfB) for software update management versus the computers connected to WSUS for software update management. The UseWUServer attribute is new and specifies whether the computer is manage with WUfB. You can use this setting in a collection to remove these computers from software update management. For more information, see Integration with Windows Update for Business in Windows 10. 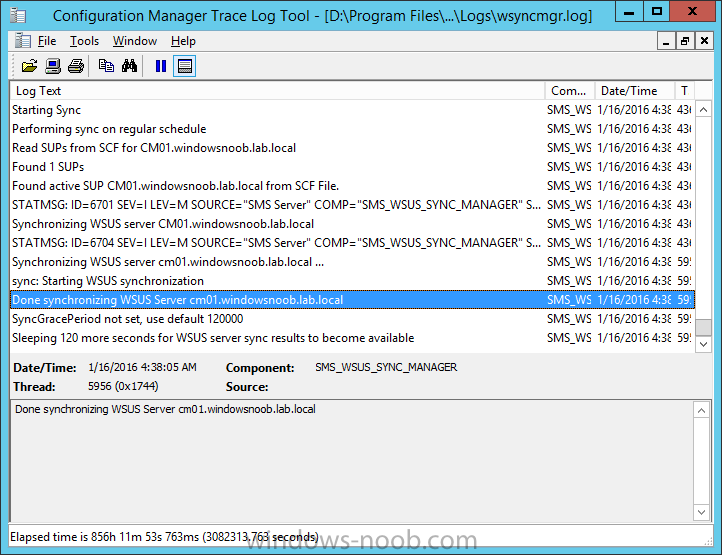 You can now schedule and run the WSUS clean up task from the Configuration Manager console. 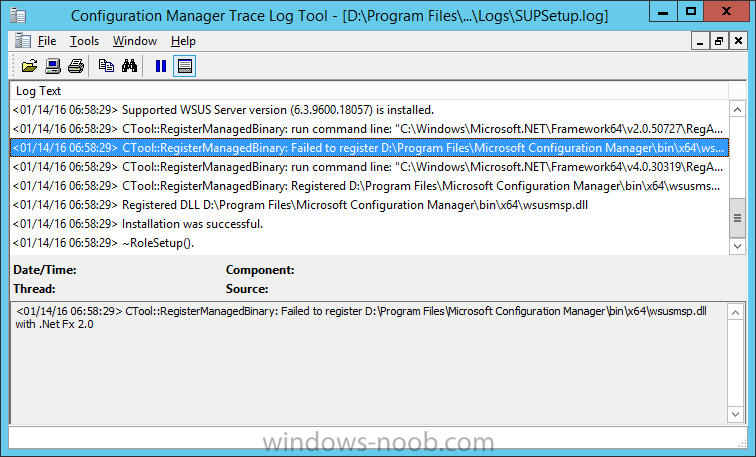 You can now manually run the WSUS cleanup task from in Software Update Point Component properties. 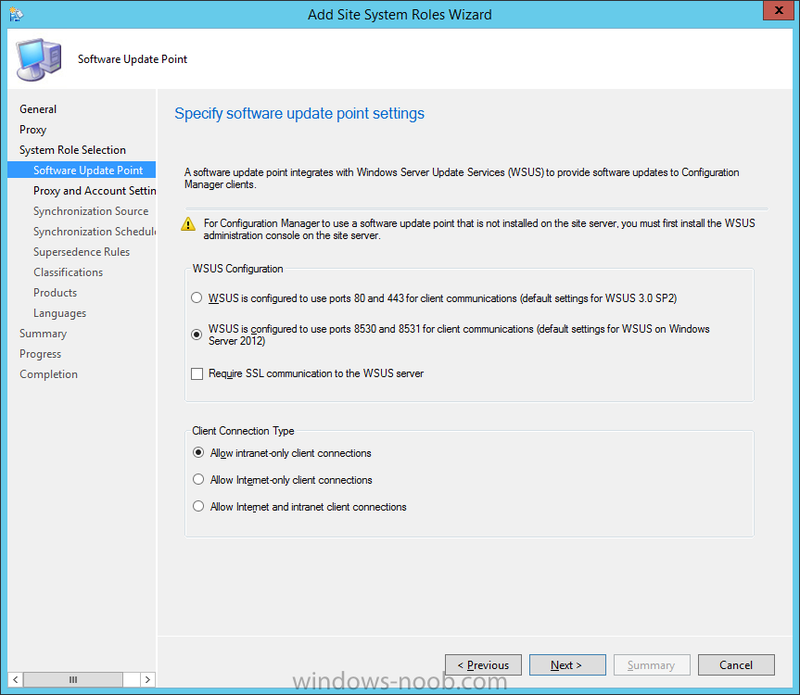 When you select to run the WSUS cleanup task, it will run at the next software updates synchronization. 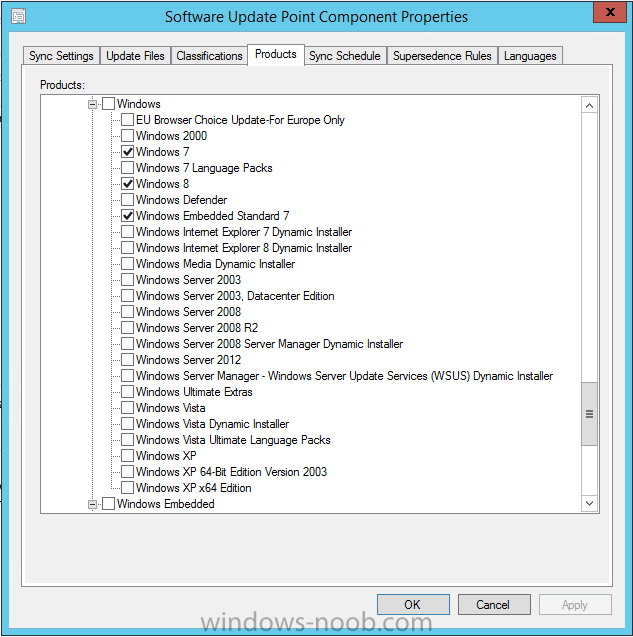 The expired software updates will be set to a status of declined on the WSUS server and the Windows Update Agent on computers will no longer scan these software updates. For more information, see Schedule and run the WSUS clean up task. After downloading the hotfix, run it by double clicking on the CM1511RTM-QFE-KB3127032-X64-ENU.exe file. The wizard will appear. Click next and the prerequisite checker will run. Click next and when prompted to upgrade the database answer yes. at the Installation Complete screen click Finish. Even though it's not a requirement, i'd suggest you reboot the server again as I've seen reports of it being necessary. Note: If you want to automate this instead using PowerShell, please skip to Step 4.
on the Specify Synchronization Sources page, as this is a standalone Primary, use the defaults. If you have a CAS in an hierarchy then point it to the upstream server as appropriate. and on the Specify a synchronization schedule page place a check mark in Enable synchronization on a schedule and leave it at the default of every 7 days. 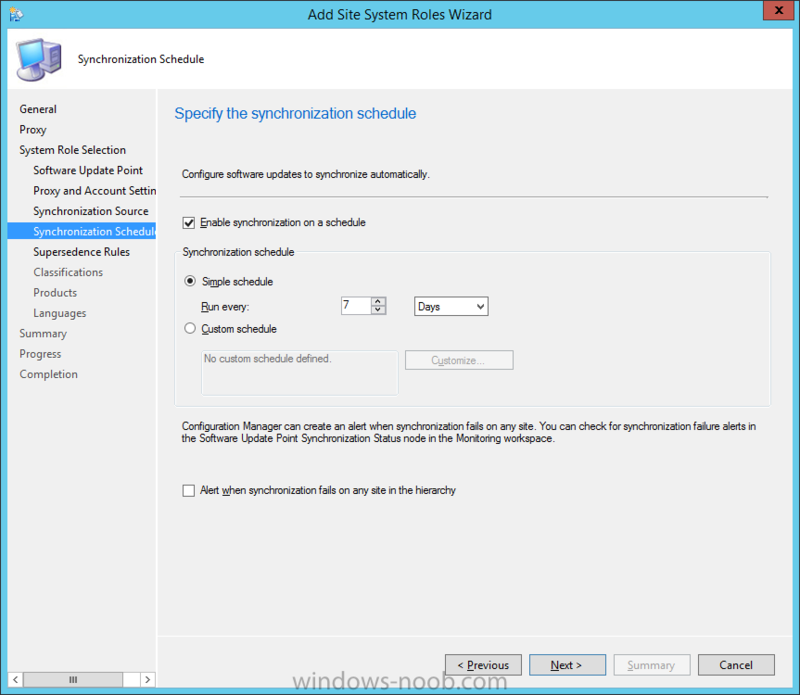 Note: If you want to have precise control over the time, day and frequency when the SUP synchronizes with Microsoft Update, then you should select the Custom Schedule option and configure it as appropriate. 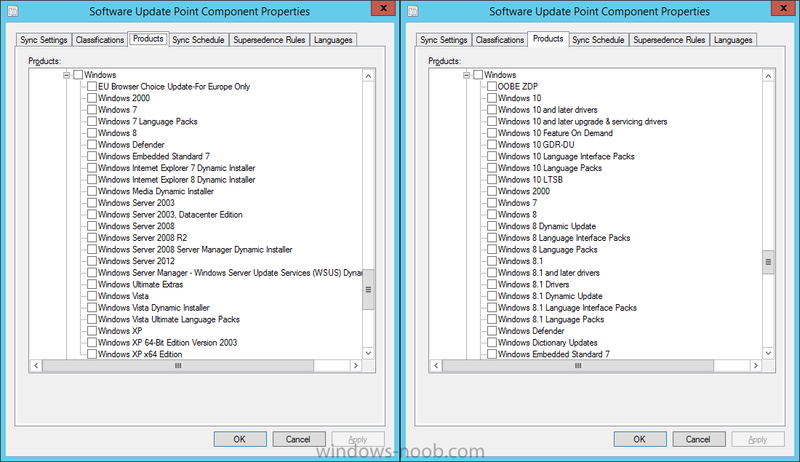 If you also intend to update Endpoint Protection definition updates then you should configure the sync to run at least daily in order to get the latest definition updates and Endpoint Protection engine updates as soon as they are released. 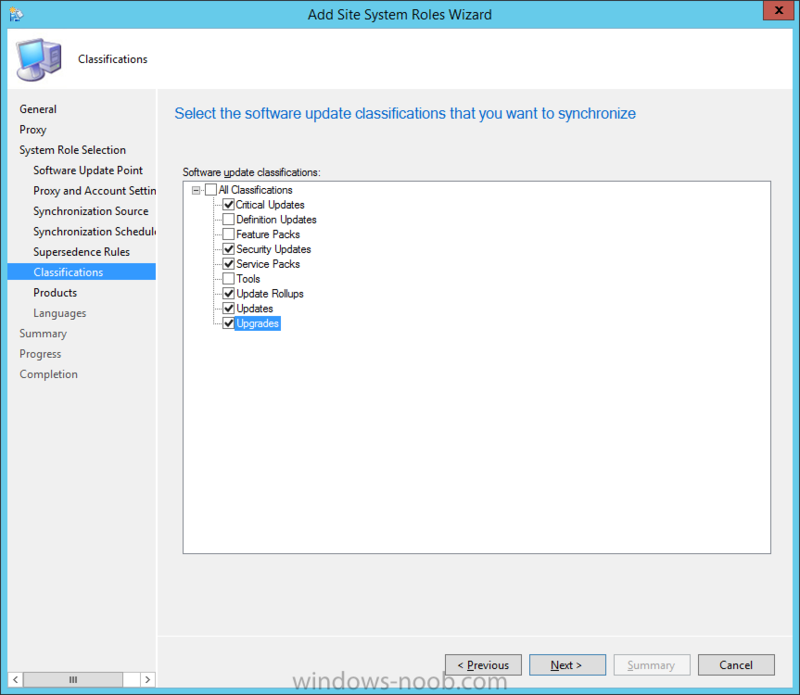 Note: When you select to run the WSUS cleanup task, it will run at the next software updates synchronization. The expired software updates will be set to a status of declined on the WSUS server and the Windows Update Agent on computers will no longer scan these software updates. 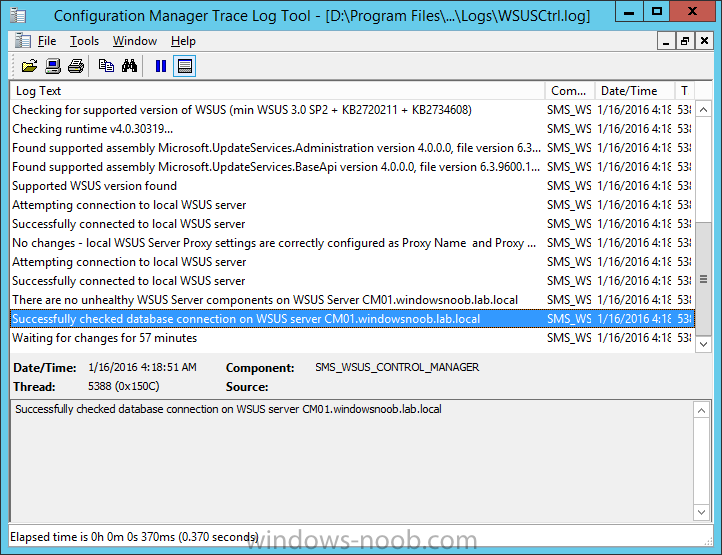 This task does not replace normal WSUS cleanup activities, to do them you should review this post. Note: If the Upgrades classification is not listed review Step 1. On the Select the products that you want to synchronize screen place a check mark in All Products and then remove it again, this will deselect everything before the first synchronization (recommended). 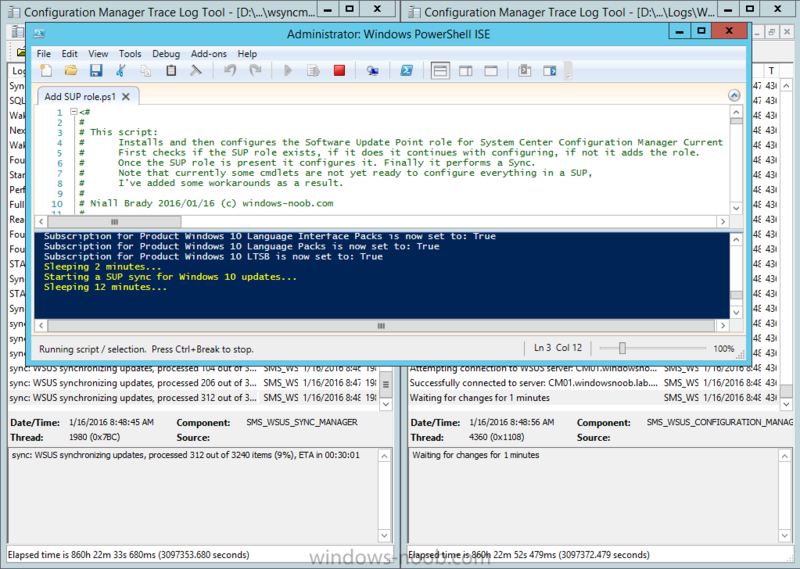 Note: Using CMTrace, review the SUPSetup.log on the server hosting the Software Update Point (SUP) role in <ConfigMgr Installation Path>\Logs to confirm that the installation of the SUP role succeeded. 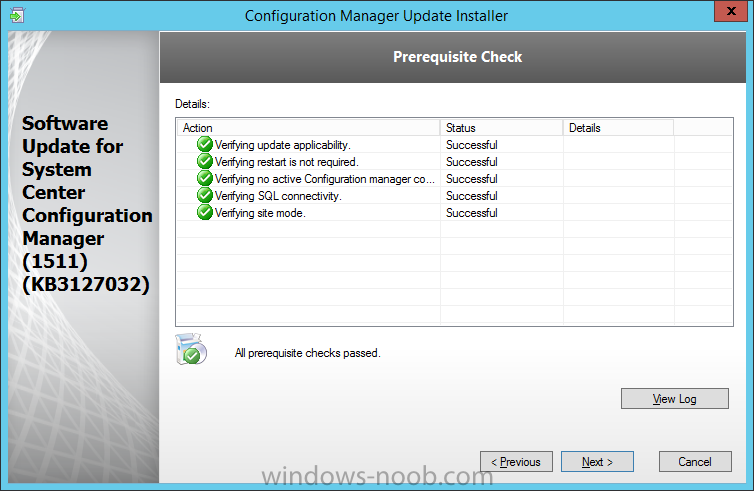 Look for a line that states "Installation was successful" as shown below. 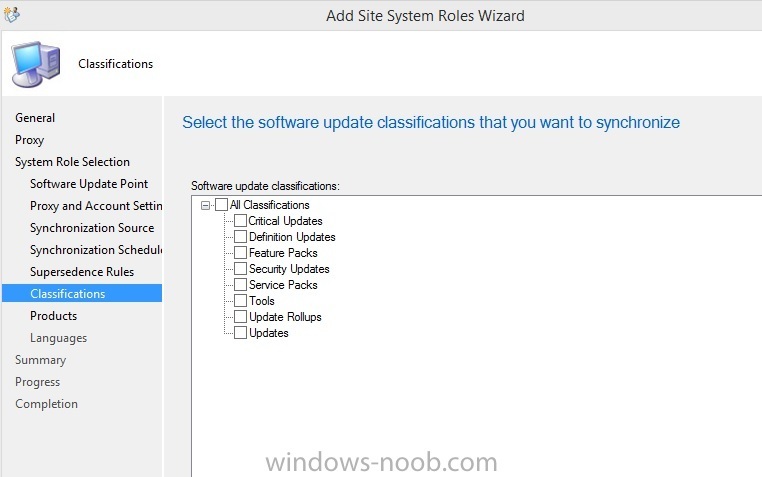 At this point you can close the Add Site System Roles wizard. 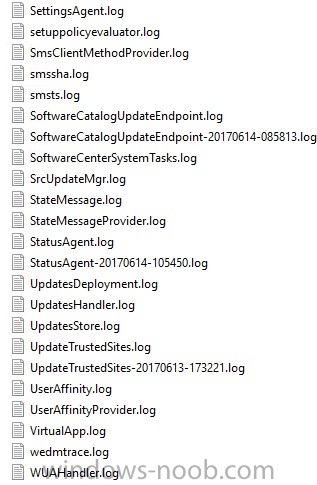 The first sync from the SUP will take some time, and you should monitor the following logs to verify that the sync is in progress and working as expected. After the first successful sync, the SUP should now have updated the list of Products available. 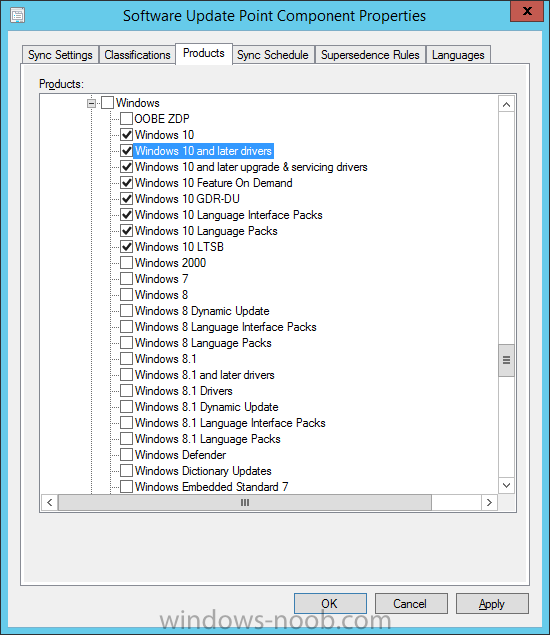 Below you can see the Windows Products listed before (on the left) and after (on the right) the first SUP sync takes place. 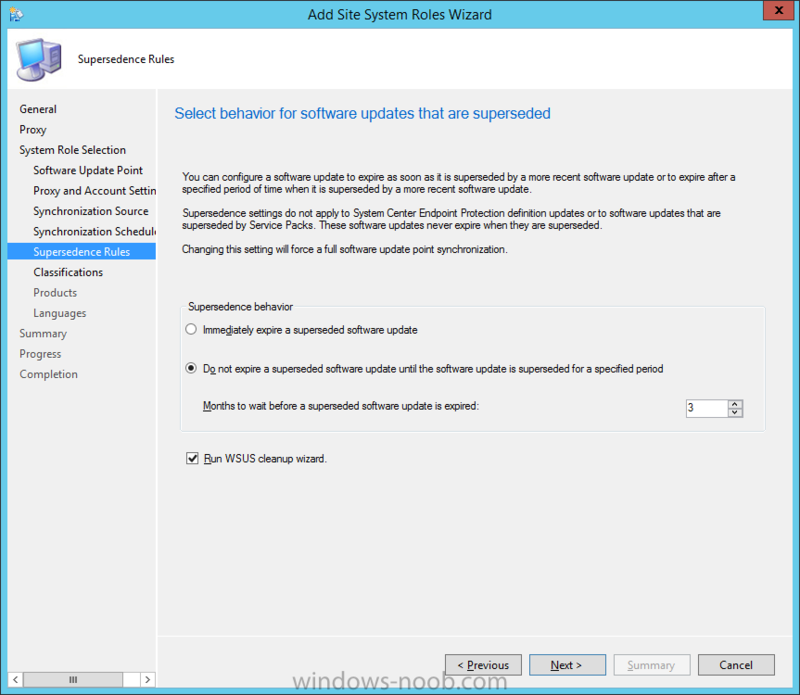 You will not see the updated products until the WCM.log states the following "Successfully refreshed categories from WSUS server"
In the Software Update Point Component Properties screen select the Products tab and scroll down to Windows 10, make selections appropriate to your organization, click Apply and OK when done to apply and close the Software Update Point Component Properties. Now that you've made a change to the Products, perform a sync. To perform a sync do as follows. 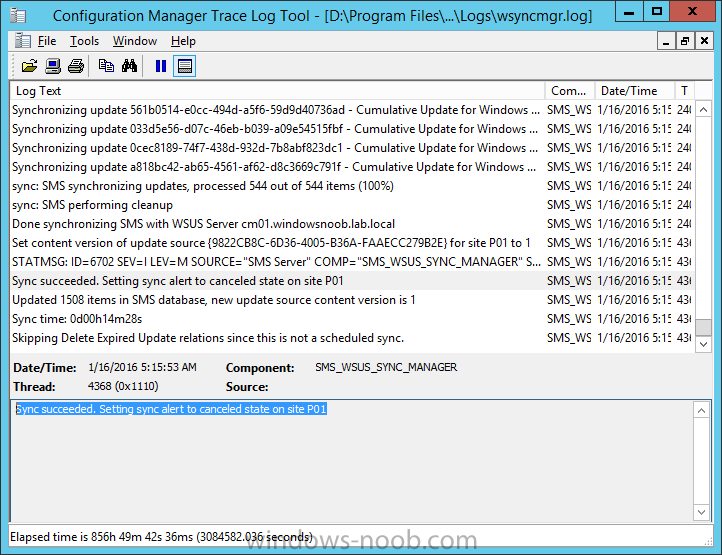 In the ConfigMgr console select the Software Library workspace, select Software Updates, right click on All Software Updates and choose Synchronize Software Updates. Answer Yes to the popup. 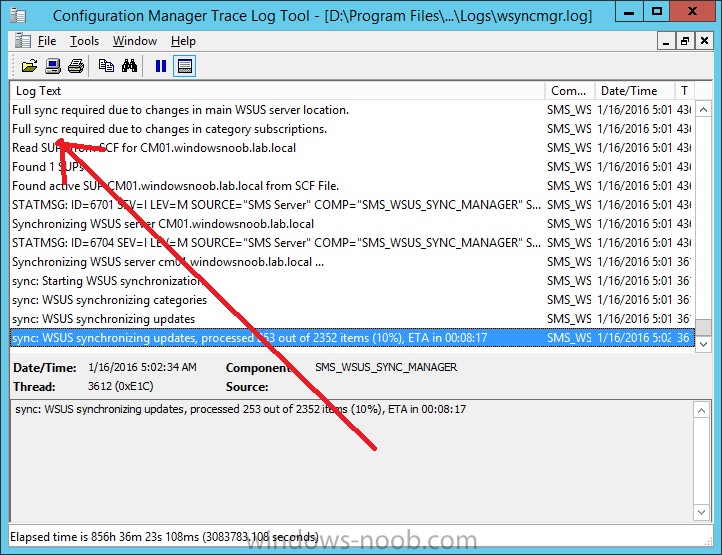 Using CMTrace, monitor the sync progress in <ConfigMgr Installation Path>\Logs\Wsyncmgr.log. 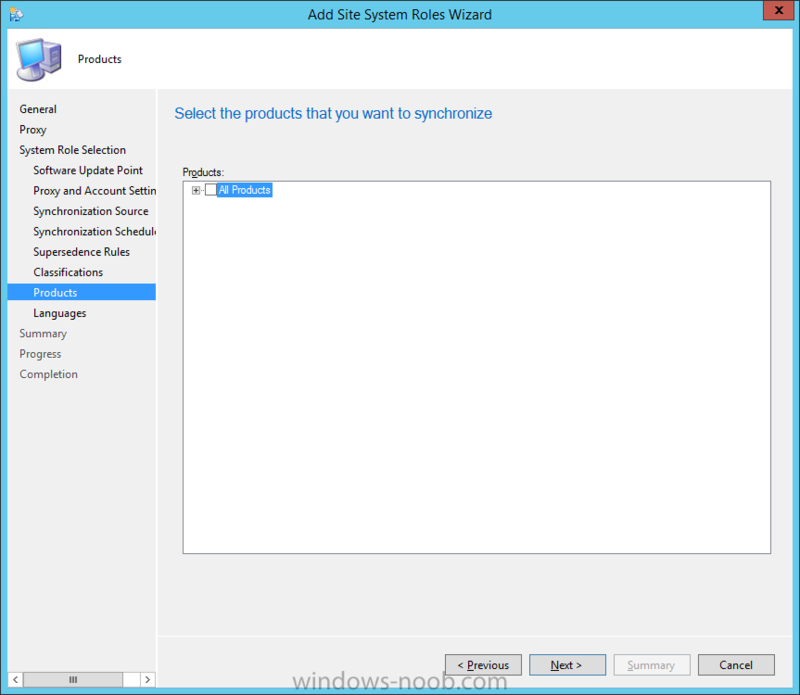 This sync will take some time as you've changed the list of Products to sync and therefore a Full sync is required and noted in the log file. Look for the Sync succeeded. 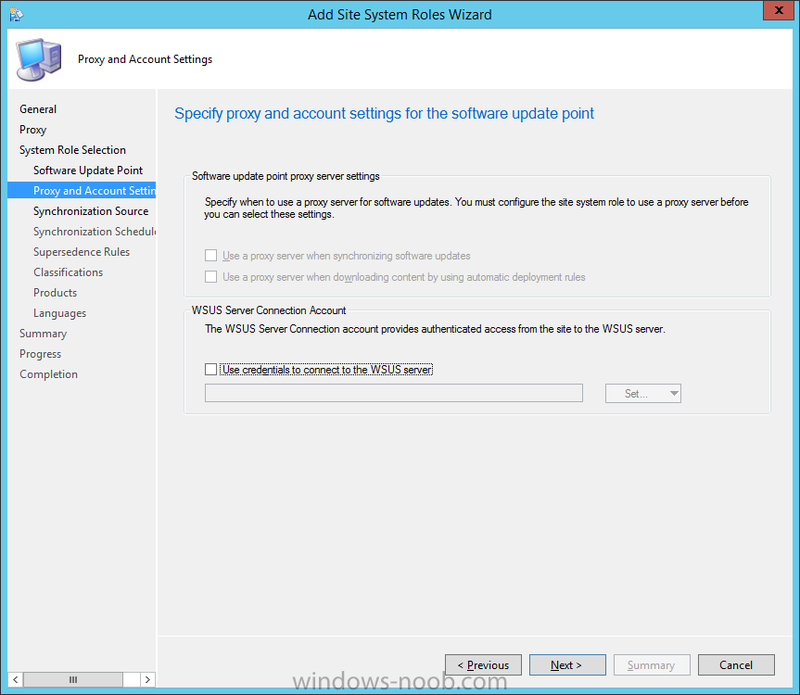 Setting sync alert to canceled state on site P01 text in the log file to notify you of a successful sync. Now that the sync is completed it's time to refresh the All Software Updates view in the console. 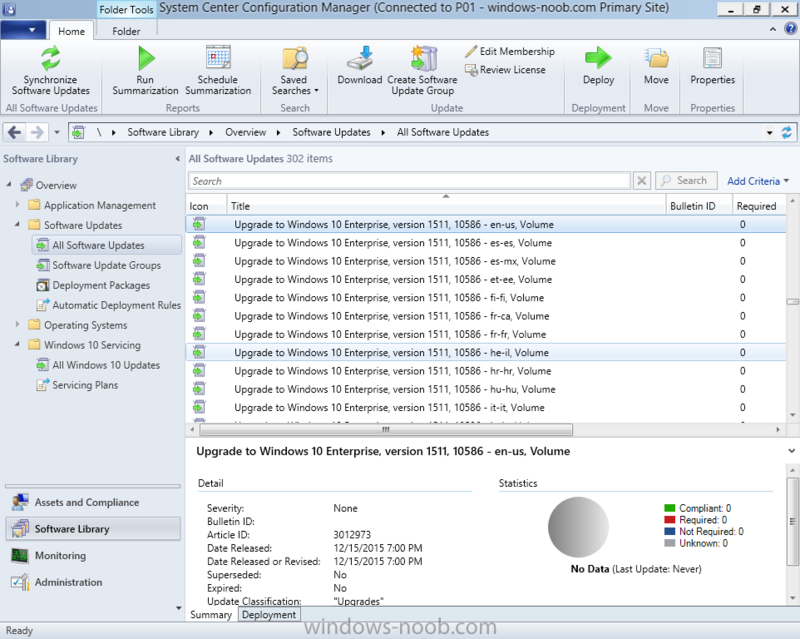 In the ConfigMgr console select the Software Library workspace, select Software Updates, select All Software Updates and press the Refresh All Software Updates button. And you should see a whole bunch of updates (and upgrades) listed for Windows 10. To see the Windows 10 Upgrade updates listed in the Windows 10 servicing section, in the ConfigMgr console select the Software Library workspace, select Windows 10 Servicing, select All Windows 10 Updates. Note: I will cover servicing Windows 10 in a later post. 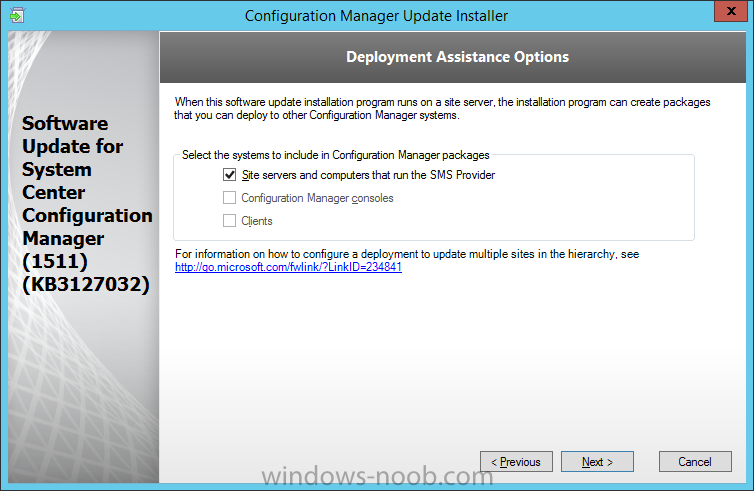 The above steps show how you can configure the SUP role using the ConfigMgr console, however you could script it all using PowerShell. 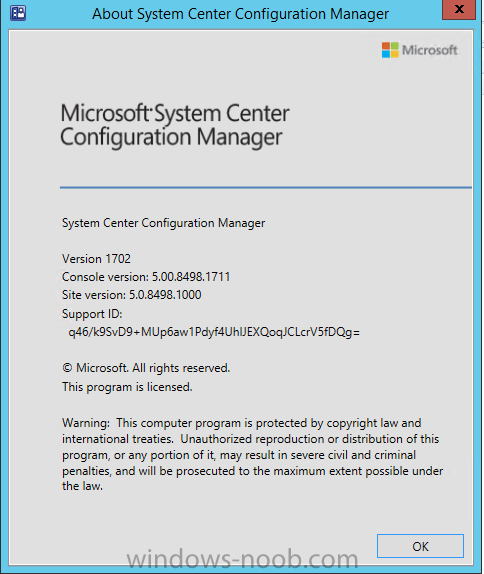 The ConfigMgr PowerShell cmdlets for Software Update Point can be listed with the below command once you've connected to PowerShell in ConfigMgr. 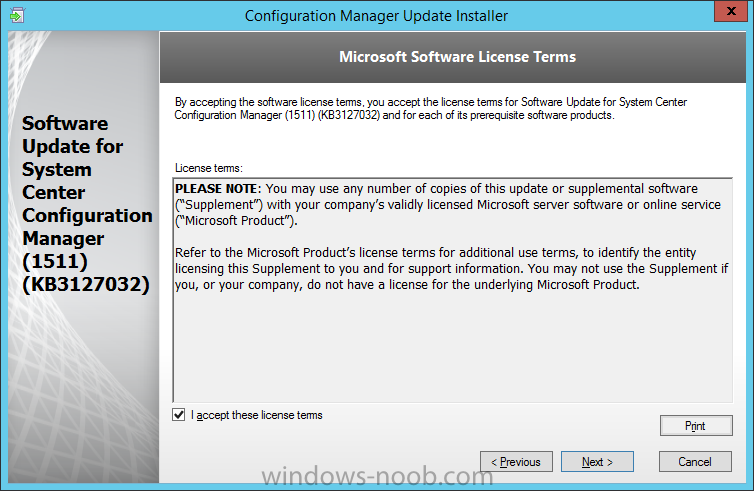 To add the Software Update Point (SUP) role using PowerShell do as follows. Download the Add SUP Role.ps1 contained in a zip file in the Downloads section at the bottom of this guide and extract it to C:\Temp. 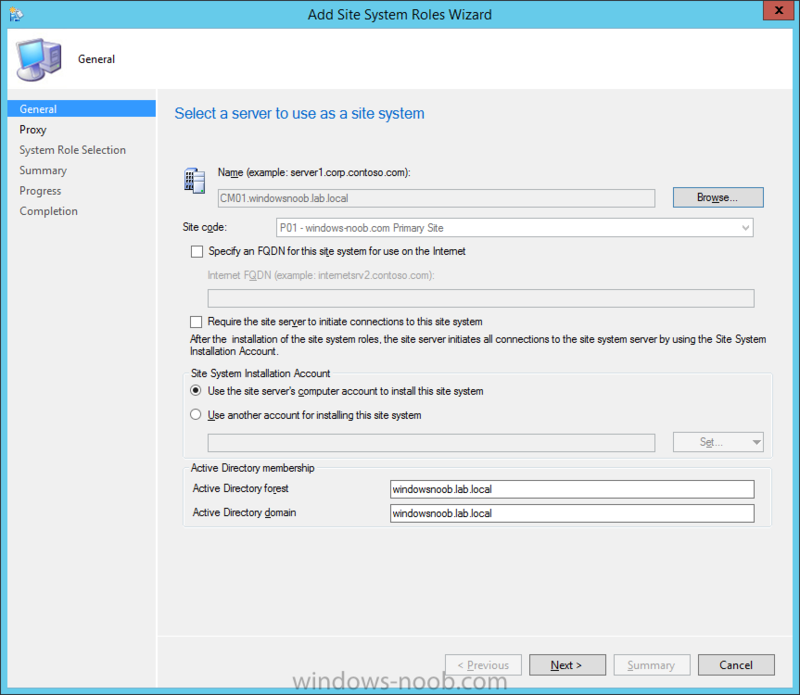 Start Windows PowerShell ISE as Administrator and open Add SUP Role.ps1 script. Edit any variables in the script to match your environment before proceeding, and then save your changes. When you are happy with the variables, consider changing which Products to sync. Check line number 192 and remove anything you are not interested in (for example, Windows 10 Language Packs). If you want to add Products to the script, do so here but make sure you specify it correctly or it will fail. Save any changes, then run the script by pressing F5 or clicking on the Green arrow. Below you can see the script is running, don't worry about that warning in Orange, it's benign (safe to ignore). 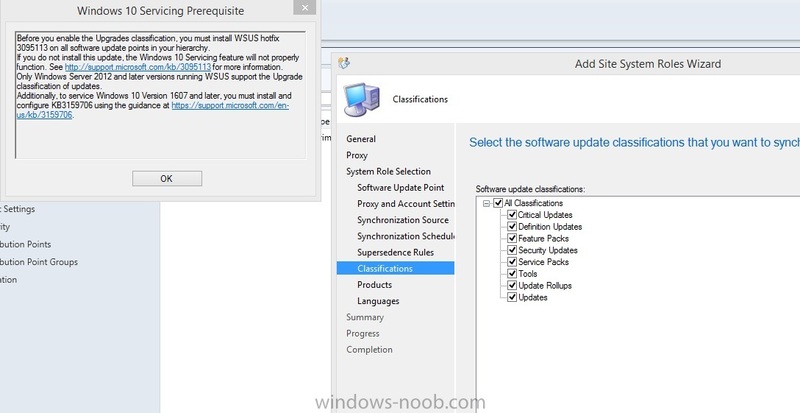 The script will perform two SUP syncs, the first is used to update the index (classifications, products etc) and the second sync actually syncs the Windows 10 updates which are appropriate to the Windows 10 products selected. Note: Depending on the number of products you select, you may want to adjust the sleep settings of the second sync to work with your environment. 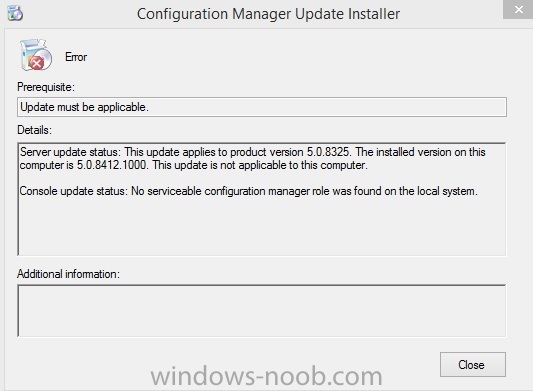 After the script is completed (it takes about 30 minutes for syncing All Windows 10 updates available, over 3240 items..) check the All Software Updates section of the ConfigMgr console. You might have to wait even longer for the console to display everything. Job done ! Isn't PowerShell automation amazing. Note: The observant amongst you will notice different languages listed even though we only specified English. 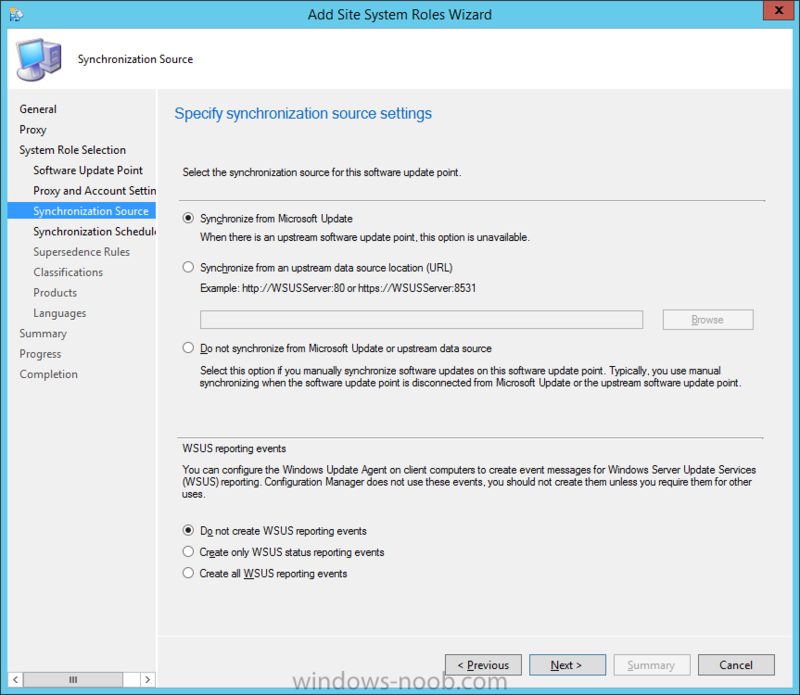 This is a bug (either in SCCM or WSUS, not sure which yet) and Microsoft is working on it. 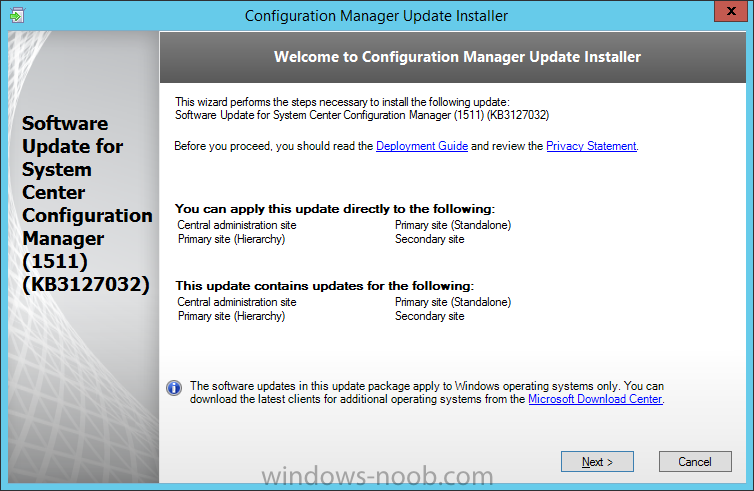 In this guide you learned about configuring the Software Update Point role in ConfigMgr to get it ready for deploying security updates and to perform Windows 10 servicing in your enterprise and you were shown how to do it manually and full automated using PowerShell. Thanks for reading my guides ! 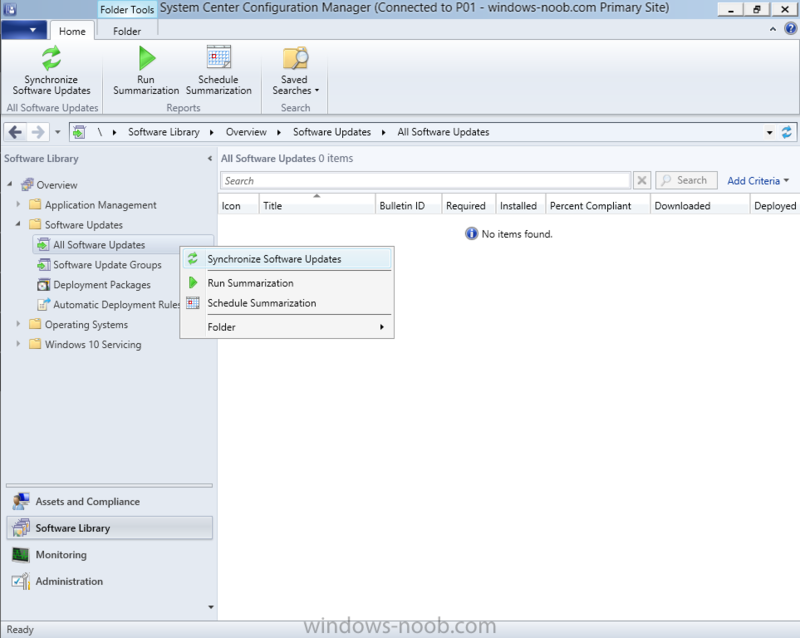 Configuring Boundaries - How can I configure boundaries in System Center Configuration Manager (Current Branch) ? 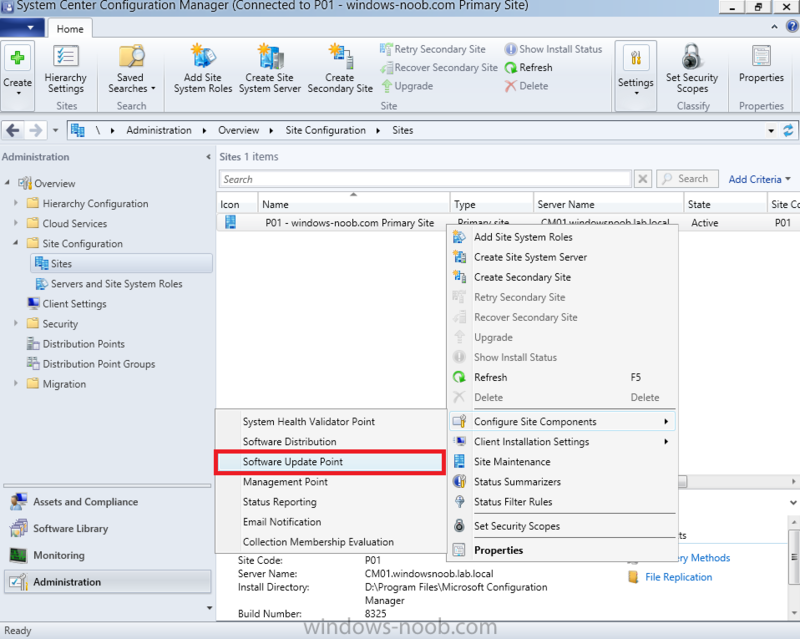 Using Updates and Servicing in Offline mode - How can I use Updates and Servicing in Offline mode in System Center Configuration Manager (Current Branch) ? Updates and Servicing in Online mode - How can I use Updates and Servicing in Online mode in System Center Configuration Manager (Current Branch) ? I got stuck at the end of the step 2, can someone please try to help? 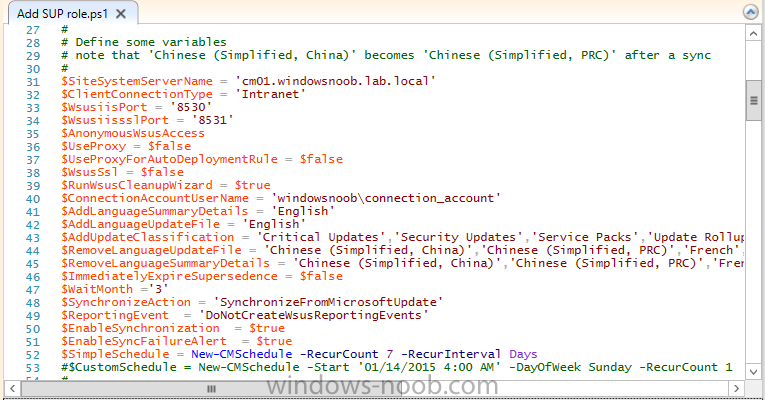 Why i am getting "DB Server not detected for SUP CM01.sccmlab.com from SCF File. skipping. 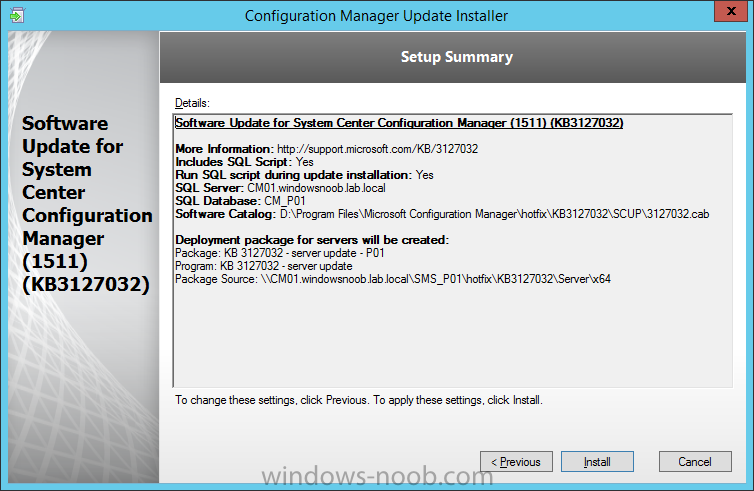 SMS_WSUS_SYNC_MANAGER 11/9/2016 4:11:05 PM 5832 (0x16C8)"
My SQL is up and running, console is up an no issues as well? What can you actually do with those upgrades? I mean, you can't do as you would with other updates, right click and deploy? 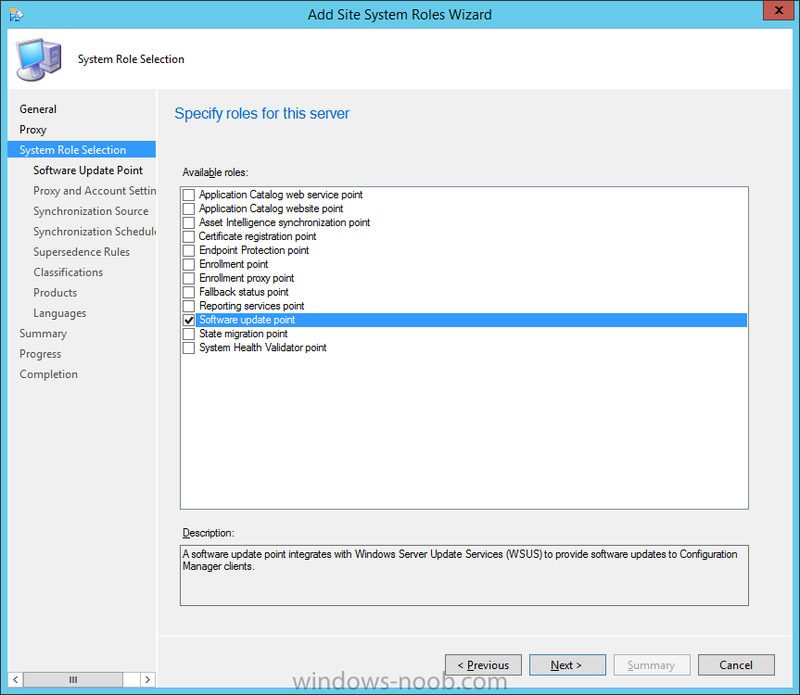 So i have removed my Wsus role, Deleted the SUSDB and removed the SUP on sccm. 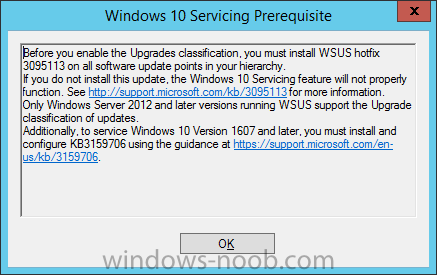 Upon re-configuring WSUS, then the SUP, when i get to classifications, upgrade is not listed. I found this windows noob how to, Downloaded the Hotfix above, but when i run the hotfix, i get the error below, i assume this has been fixed in my version of Sccm 1606? However i am still not seeing upgrades? Any idea why? 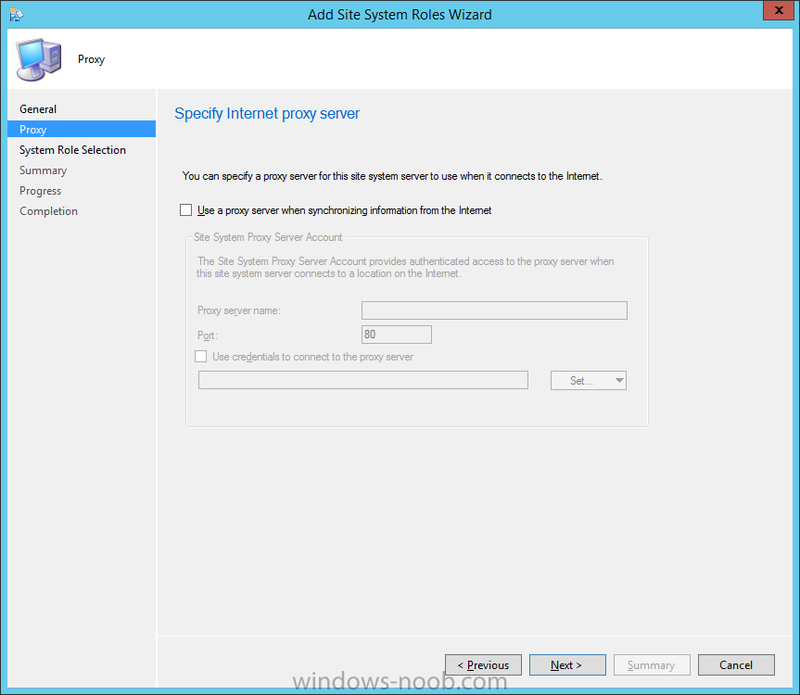 so you are setting this up in Server 2016 or ? 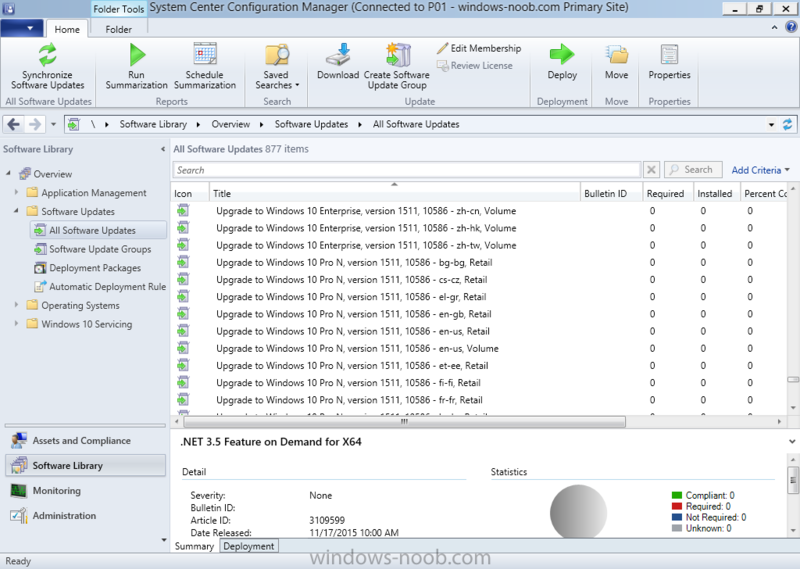 where are the upgrades missing exactly, in WSUS or in the SUP ? Thanks for all the awesome guides! 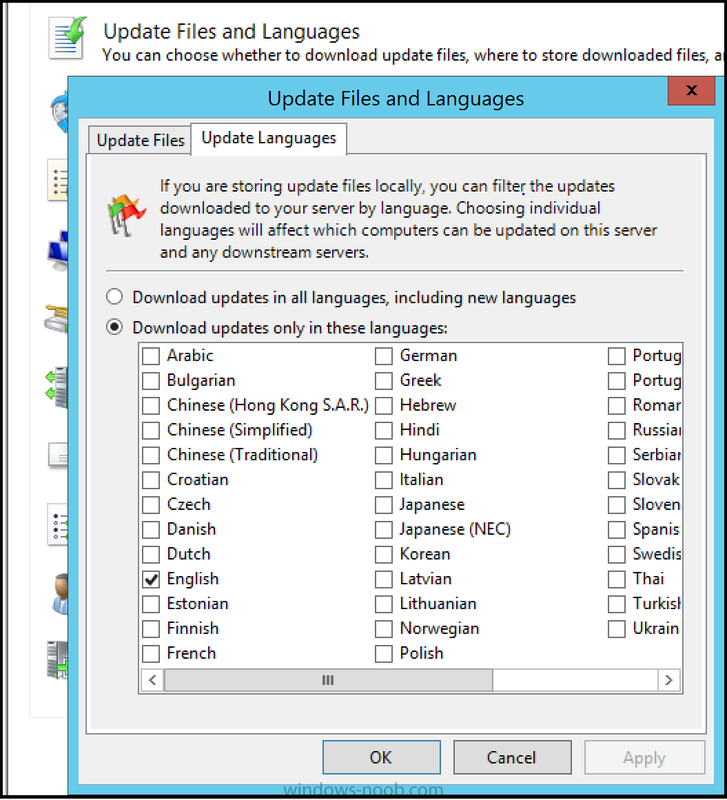 I got around the language issue by opening the WSUS console on the SUP, deselecting all languages besides the ones I needed and then syncing updates in the SCCM console. I performed these steps before my initial sync. 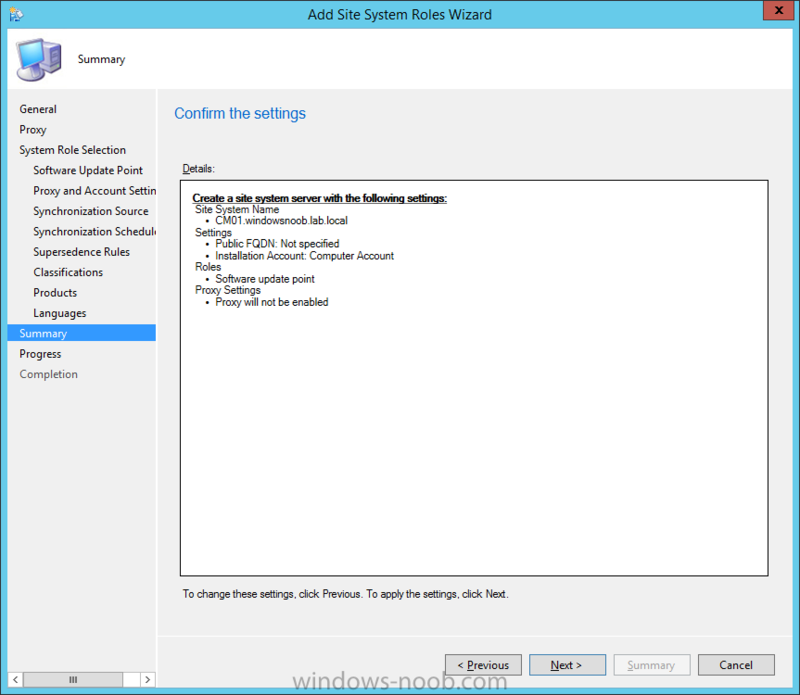 It's odd that all of the other SUP settings carry over to WSUS besides the languages. SCCM CB tells me I have to update WSUS with KB3095113 and KB3159706 after I checked the Upgrade-Checkbox in SUP (see some lines above at Windows 10 Servicing prerequiste) - only the KB's aren't applicable for my computer, Do I have to install them really? 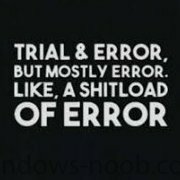 I found nothing on the web about the behavior with Win 2016. The pop-up that states you need to install those updates is normal. Are you looking in the right place? Win 10 Upgrades are listed under the Windows 10 Servicing folder and not with the rest of the software updates. This is on a server 2012 R2 server. And i see it missing from Software update classifications: when adding the site system role? When i select all classifications i get the servicing Prerequisite pop up. I have already installed this KB. I uninstalled each update you had listed and then rebooted, and reinstalled each one in the exact order you have listed. That's what is making me crazy. I greatly appreciate your time on this. I have been fighting this and some other issues for a very long time, I have actually spun up a new server and im Upgrading everything, Server 2016, SQL 2016 and Sccm 1610. 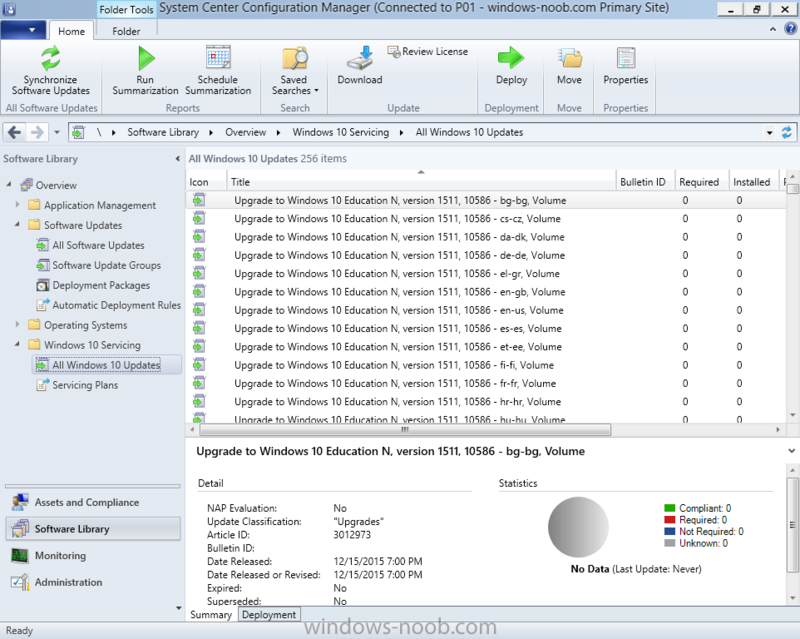 Do you have any guides on transitioning from one SCCM installation to another? I do not plan on Migrating as im looking for a clean start. no not yet, but post here and we'll help ! 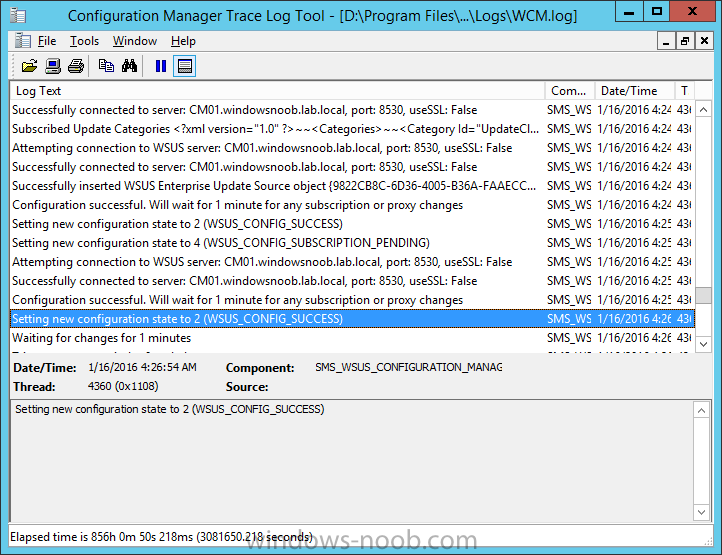 Ok, So as i'm proceeding through your guide, I got up to this point again, everything is working great, i went to run the WCM.log in CMTrace, and i cannot find SUPSetup.log, wcm.log, Wsyncmgr.log, or WSUSctrl.log????? Dang. That was dumb. Thanks! Hi. Thanks for your perfect guides. My LAB is Based on Server 2016. and SCCM is 1802. i have problem with Software update . i have two WSUS , one of them install at the SCCM server (Because i thought maybe its require ) .but in GPedit.msc i changed wsus path to my main WSUS server . when i check wsyncmgr.log it show everything synced complete and there was no problem(Synced 100%). but i can't see any update in All Software Update . then i run ( Add SUP role.zip ) Script, and it's done complete without any problem.i checked again wsyncmgr.log and i face with that error (In the picture) . so i check my Software update and there was nothing again.. so please tell me what should i have to do ? .